The Vasari Corridor in Florence, which was used by the Medici to cross the city unseen, will reopen in 2021, thanks to a €10 million renovation project. There are plenty of other secret corners of Florence where you can avoid the crush, and delight in the city’s treasures in peace. The reopening of the Vasari Corridor in 2021 is a lovely reason to visit Florence. Early summer is the ideal time, too – warm, but not too hot. Sadly, lots of people have the same bright idea. The art-loving crowds are now almost prohibitively large. In 2015, Florence attracted 13.7 million visitors. The crush around a handful of paintings in the Uffizi is so bad they are being separated from the rest of the exhibits, to allow them some breathing space. Still, with a little preparation, you can spend a day viewing some outstanding masterpieces that most tourists miss. Here are six of the best. Start in Fiesole, in the hills north of Florence. Founded by the Etruscans, Fiesole remained important under the Romans, whose ruined walls, baths and theatre survive. After Caesar’s foundation of Florence, the two places co-existed for centuries until Fiesole’s eclipse in the 12th century. Boccaccio located his refugees from the Black Death in Fiesole, diverting themselves with the stories that constitute his Decameron. Looking down from the town, you can understand their choice: the view is spectacular, with Florence lying in the Arno valley below, beneath Brunelleschi’s dome. Leaving Fiesole, return, via Giuliano da Sangallo’s intimate Chiostro dello Scalzo (with monochrome frescoes by del Sarto), to the Ospedale degli Innocenti, near San Marco. Originally an orphanage, the Ospedale – notably the façade on the Piazza della Santissima Annunziata – was Brunelleschi’s first major commission. Contrasted with the Duomo’s Romanesque baptistery and Gothic campanile, you can appreciate Brunelleschi’s inventiveness. There’s a delicacy and apparent simplicity of form (reliant, in fact, on artfully precise mathematics) and decoration: plain walls and pietra serena (a grey sandstone); the roundels, with their later della Robbia sculptures, were originally blank. The Ospedale’s enduring influence is visible in the debt consciously paid by the Loggia dei Servi di Maria opposite, built a century later by the elder Antonio da Sangallo, Giuliano’s brother. Commissioned by the Arte della Seta (the silk weavers’ and merchants’ guild), the Ospedale reflects the later medieval dominance of Florence’s guilds. Their rivalries defined much of the period’s politics, and a relic of that era is the church of Orsanmichele. The church was originally an open-sided grain market, built by the Arte della Seta. When the grain market was walled up in 1382 to make the church, its outer niches were adorned with statues of patron saints. Now inside the upstairs museum (those outside are copies), the statues constitute a remarkable collection, with works by Giambologna, Ghiberti, Brunelleschi, Donatello and Verrocchio. The lower interior is a fine Gothic church, starring Bernardo Daddi’s outstanding ‘Madonna delle Grazie’ in its remarkable tabernacle by Orcagna. 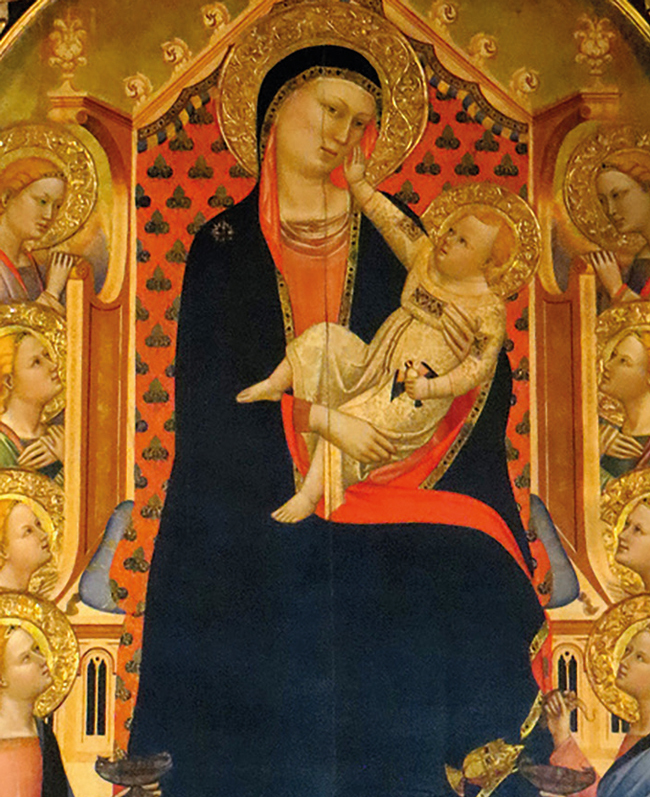 The Madonna features in the British Institute’s ‘100 Treasures in Florence’ (see box). Guild power in Florence was ended by the plutocratic oligarchy that eventually became the Medici clan. The great – and rarely visited – monument to the Medicis’ progress is the Palazzo Medici Riccardi. 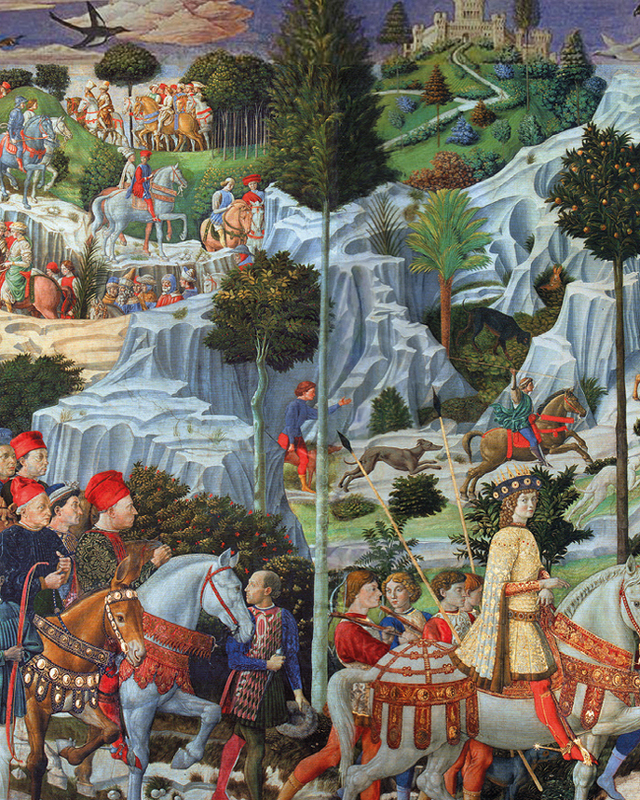 Inside is the 15th-century Cappella dei Magi, with frescoes by Benozzo Gozzoli. The frescoes include representations of the Medici and their circle. They include Cosimo de’ Medici; Piero the Gouty, his son; Lorenzo the Magnificent and Giuliano, his grandsons; the humanists Marsilio Ficino and Angelo Poliziano; Sigismondo Malatesta of Rimini; Galeazzo Maria Sforza of Milan; and the artist himself. Particularly interesting is the Byzantine Emperor, John VIII Palaiologos. His attendance at the 1439 Council of Florence, reflected in his inclusion here, was a milestone in the international ascent of the Medici. Nearby is the Laurentian Library, designed by Michelangelo for the second Medici Pope, Clement VII, to house the family’s collection of texts. Its two principal rooms are the entrance hall, or ricetto, and the reading room. The latter is a masterpiece of serenity, brilliantly contrasted with the strained restlessness of the ricetto – an outstanding example of architectural Mannerism. As the Medici rose from merchants to aristocrats, so did their supporters. Many of the city’s monuments reflect their growing wealth and sophistication, among them the Sassetti chapel in Santa Trinita. 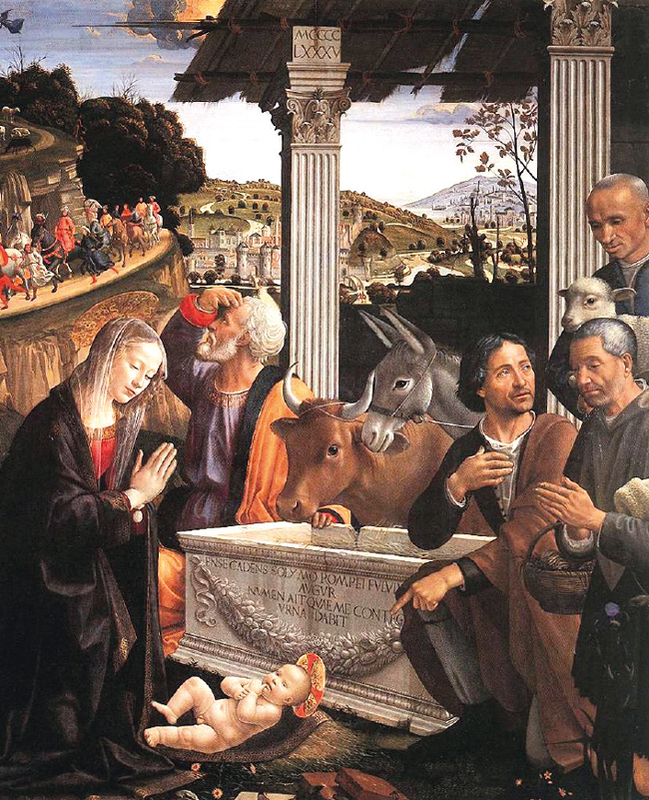 Commissioned for Francesco Sassetti, general manager of the Medici bank, it was decorated by Ghirlandaio with frescoes and an altarpiece of ‘The Adoration of the Shepherds’. The altarpiece’s naturalism reflects the Netherlandish influence of Van der Goes’s Portinari Altarpiece, then recently arrived in Florence (now in the Uffizi). The frescoes, like Gozzoli’s, show people and places from the Florence of Ghirlandaio’s day, including Santa Trinita’s original façade. Among the church’s other highlights is the Bartolini Salimbeni chapel, with frescoes and an altarpiece of ‘The Annunciation’ by Lorenzo Monaco, the last great Florentine exponent of Gothic art. Head over Ponte Santa Trinita, looking across at the Ponte Vecchio with the Vasari corridor elevated above it. Nearby is the church of Santa Maria del Carmine, in whose otherwise mostly rococo interior is the Brancacci chapel. Described as the ‘Sistine chapel of the early Renaissance’, it is famous for its frescoes, begun in 1424 by Masolino, assisted by Masaccio (‘Little Tom’ and ‘Clumsy Tom’). 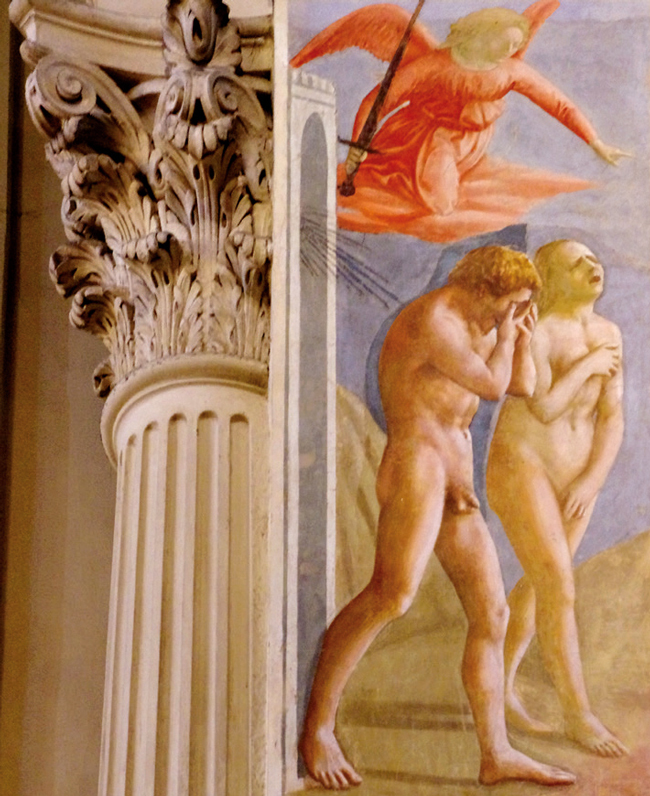 The former left Florence in 1427, and Masaccio took over until he too left, for Rome, in 1428 – dying there that year. 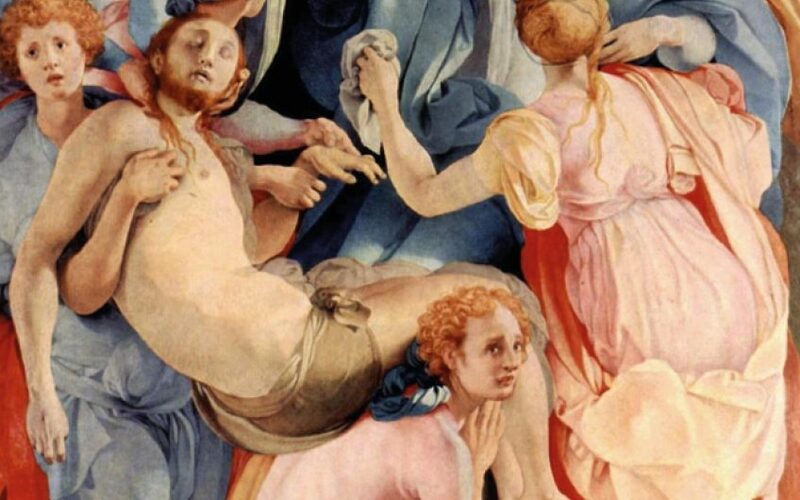 The scheme remained incomplete until it was finished by Filippino Lippi. Only 27 when he died, Masaccio was profoundly influential, introducing a naturalism and emotional drama, evident here in one of the most celebrated images in Western art, ‘The Expulsion from the Garden of Eden’. Another gem is in nearby Piazza Santa Felicita, where the Vasari corridor runs in front of the church of the same name (it opens on to a balcony where the Medici attended Mass). Inside, in the Capponi chapel, originally built by Brunelleschi, is Jacopo Pontormo’s ‘Deposition’, among frescoes painted with assistance by Bronzino. Compare the serenity of Lorenzo Monaco’s style, the burgeoning naturalism of Masolino, the penetrating realism of Masaccio, the controlled harmony of Ghirlandaio and the courtly beauty of Filippino with Pontormo’s strained forms and bold palette, and grasp the progression of Renaissance art from its Gothic beginnings to Mannerist end. Finally, visit San Miniato al Monte, just above the Piazzale Michelangelo. An outstanding example of the Tuscan Romanesque, its classically-inspired façade is an elegant refutation of Petrarch’s conception of the ‘Dark Ages’. 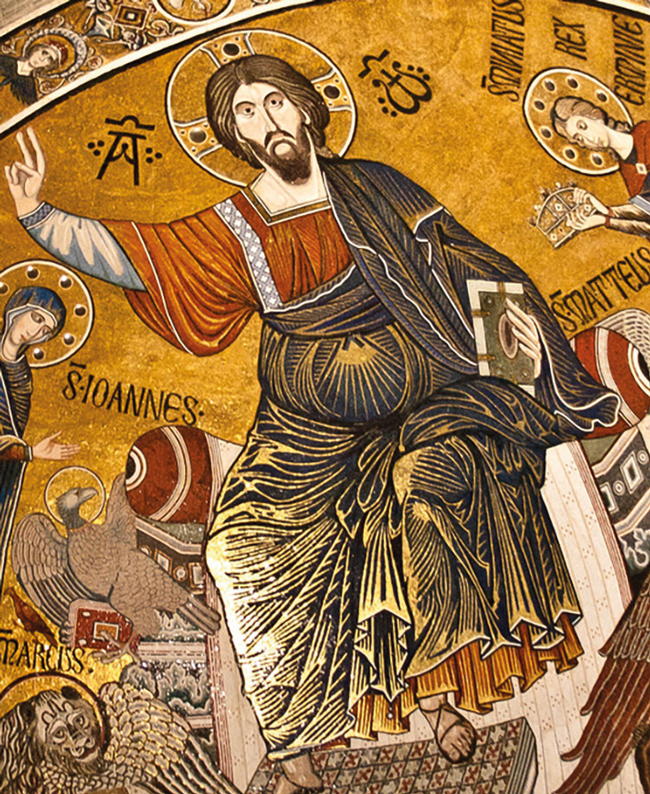 Inside, the raised presbytery over the impressive vault is a rare survival, while elements such as the apse mosaic of Christ between the Virgin and San Miniato show the influence of Byzantium. Outside, the view is less panoramic than that from Fiesole, but more intimate, its loveliness inspiring Oscar Wilde to verse, and, in the evening light, a perfect end to the day.